These nappy wraps will fit most babies from around 10-35lbs. 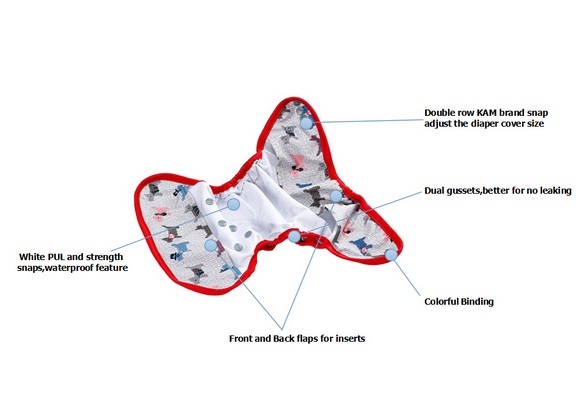 They have 3 rows of poppers on the front to adjust the rise/size and snaps to close at the waist and hip, with crossover snaps at the waist for slimmer babies. The wraps have inner flaps at the front and back, colour co-ordinated binding and inner leg gussets to contain leaks.